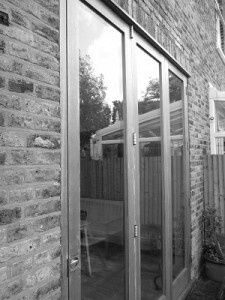 Today Spick & Span window cleaning, cleaned windows for a client in Camberwell. The homeowner was particularly concerned with her french glass, patio doors, which were smeared as a result of finger marks left by her four year old daughter. After the cleaning was finished the windows were sparkling and her view out to the garden was no longer blocked .